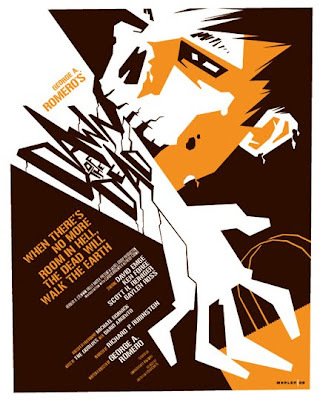 I'm always a sucker for alternative posters for well-known movies, sometimes because they're so bizarre, sometimes clever, sometimes stylish. And sometimes they indicate opportunities that the original studio/artist missed, for one reason or another (usually commercialism). Anyway, that's a long way of getting to my point, which is that I think these punchy retro designs by strongstuff (artist Tom Whelan) are fabulous. You can also find his designs on deviantART, tumblr, and Behance (and you can follow him on Twitter. The accounts seem to all contain slightly different content and/or get updated at slightly different times, so I figured what the hell, I'll include 'em all. Whelan has a limited number of prints for sale, too. None of my favorites are currently available, sadly. Which may be for the best, really. I have far too many posters that I need to get framed and eventually on a wall. At this rate I'll run out of wall space before I've even framed the art I already own. 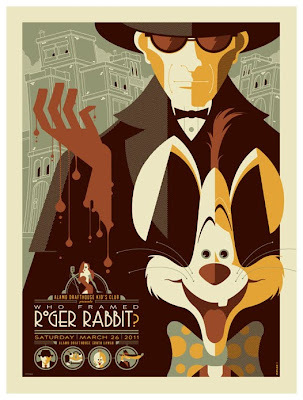 I just LOVE Who Framed Roger Rabbit.